There are two basic requirements to ensure that rice gets cooked perfectly: the right amount of water and exposure to high heat. It goes through 4 different stages of cooking: resting in water, boiling, steaming and then resting. Rice cookers follow these four stages carefully to ensure that you get the perfect end result. The parts and mechanisms of the rice cooker will work to successfully produce heat to boil the water and steam the rice. Depending on how many features your rice cooker has, there may be more parts incorporated in it. 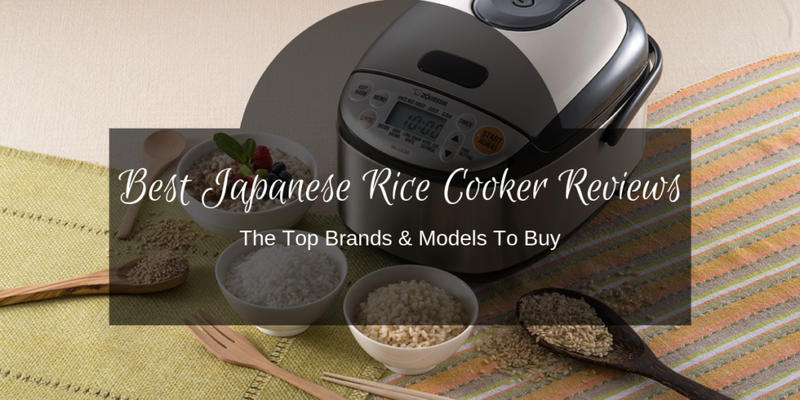 Though rice cookers are fairly simple machines, there are still a couple of factors that you should look for before you purchase one to ensure that you are getting the most out of your money. If you are always in a rush or on the go, you might want to look for a rice cooker that comes with programmable features. Programmable features completely eliminate the need to set up your rice cooker every time you use it. With a single push of a button, you can easily get a batch of rice that’s made the way you want it to be. Once the rice cooks, it goes into a warming mode where the machine keeps the rice consistently warm and fresh. So even if you’re going to eat it after a few hours, it still has a perfect temperature. Check the materials of the lid. Rice cookers come in different kinds of lids such as plastic, glass and metal. Choose those materials that will allow steam to be sealed in, so you can maintain the freshness of the rice and prevent it from drying out over time. Also, check to see if there’s a steam vent that will prevent the rice from boiling over. Find out what is included in the purchase. Some rice cooker brands will include other accessories like a spatula and a steaming basket in the package. There are also those brands that will also include measuring cups and recipes books. These accessories can help you maximize the use of your rice cooker. When it comes to a rice cooker, you need only to buy the ones that really suit your needs. If you don’t eat rice a lot or you are only cooking for a small family, a smaller rice cooker that can produce a couple of cups of rice is a good option. On the other hand, if you have a big family and you eat rice three times a day, you definitely need something with a bigger capacity. With all the electronic features of Japanese rice cookers these days, it’s imperative that you look for those with energy-saving features. This way, even if you keep your rice warm all day, it won’t consume a lot of energy. Compare energy ratings so you know which one is the most efficient. Does the Japanese rice cooker look clunky? Does it take up a lot of counter space? If you don’t have a lot of counter space, it’s better to get a more compact rice cooker. 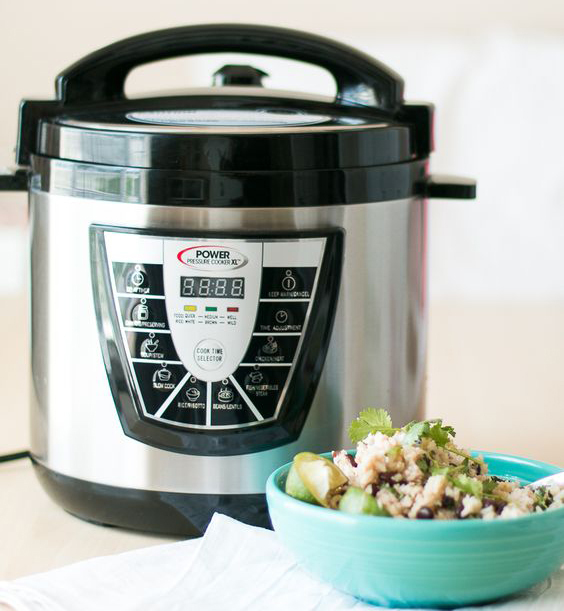 This rice cooker has been incorporated with a plethora of useful features. It is a multi-functional rice cooker that allows you to not just cook rice but also to use it as a slow cooker, a sauté pot, a steamer, an autoclave, a prolusion pot and a yogurt maker. If you do some or all of these functions in your kitchen, you will definitely benefit from having just one machine to do it. It saves you a lot of money and clutter in the kitchen. This machine is a comparatively affordable one that has programmable settings that can make your life more convenient. If you basically want a fuss-free machine that will do all the cooking work for you, this is what you should get. Safe to use. It is UL and ULC-certified. Control panel is big enough. Even people with reading or eyesight problems can find and read the buttons. It can take some time adjusting the settings to get the right cooking time for ingredients like beans and lentils. 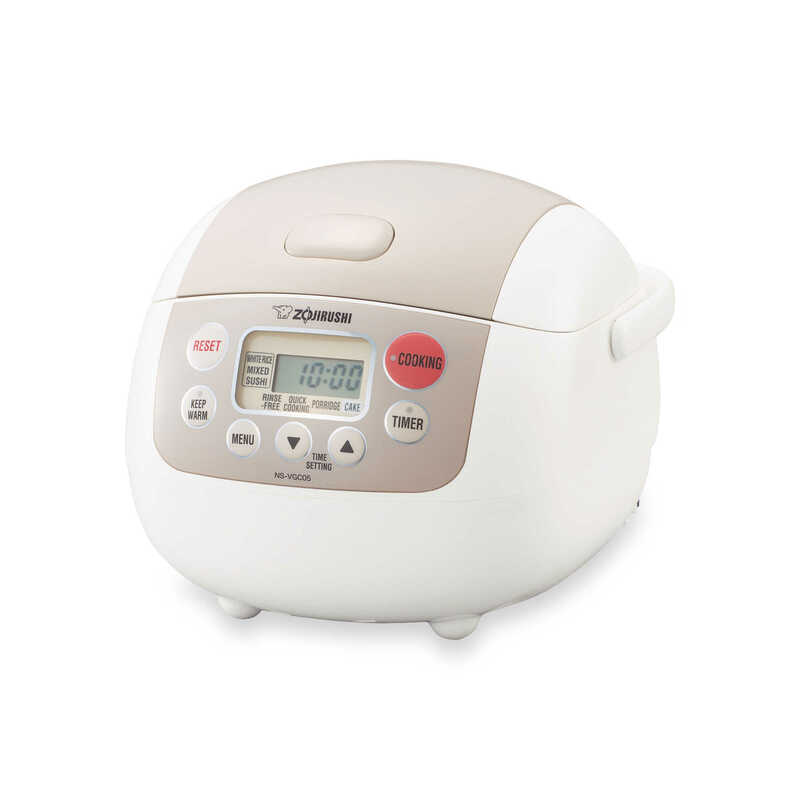 This rice cooker is another Japanese rice cooker that can offer you 5 different cooking functions. 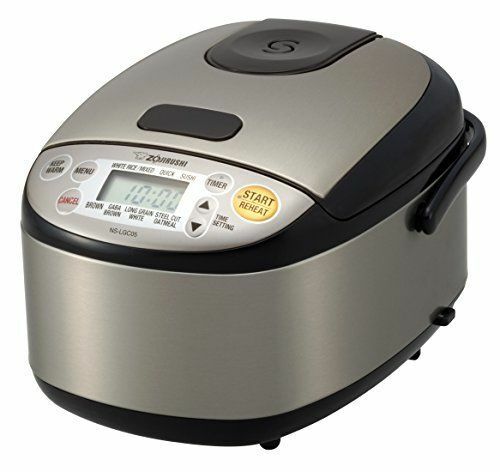 The functions that this rice cooker offers include one for sushi, dish, mixed rice, brown rice, and quick cooking. What’s great about this rice cooker is that it’s very efficient. It provides even heating that guarantees you get fluffy rice all the time without burning out the bottom. It even comes with a handy LCD display, a two-setting timer, a heat cycle and a retractable cord. Accessories include a spatula holder and a cup. It is a mid-range rice cooker when it comes to price but for all the things it can allow you to do, it is worth the money. It doesn’t come with quick settings when cooking brown rice. It might take some time to finish cooking. This might be a pricey rice cooker, but it has all the bells and whistles that people might look for in an upscale rice cooker. It looks attractive, thanks to its chrome steel finish. You probably won’t need to hide it once you are done using it because it will look great when displayed in your kitchen. Go for this if you are on the lookout for a multi-functional Japanese rice cooker that can perform different functions and can cook different kinds of rice. Use this to make different kinds of dishes like Takikomi-Gohan, Wakame-Gohan and Wakame-Gohan. The possibilities are endless. This 3-cup rice cooker has several features you can use to cook sushi, porridge, cakes, mixed﻿﻿﻿ ﻿﻿﻿rice, rice, rinse-free materials, and quick cooking. It even comes with a unique micro-computer technology that automatically adjusts cooking temperatures. This intelligent feature allows the machine to determine the best cooking temperature and settings that will produce perfectly-cooked rice. What’s more is that this rice cooker comes with an automatic keep-warm feature that will help you get warm rice served on your plate every time. This rice cooker is also very modern-looking because it comes with a nice LCD display, a timer, and lots of free accessories. This mid-range and affordable rice cooker comes with an advanced Neuro formal technology that ensures you get completely boiled rice that meets high quality standards. Just like most Japanese rice cookers, this one also comes with a useful set of features. 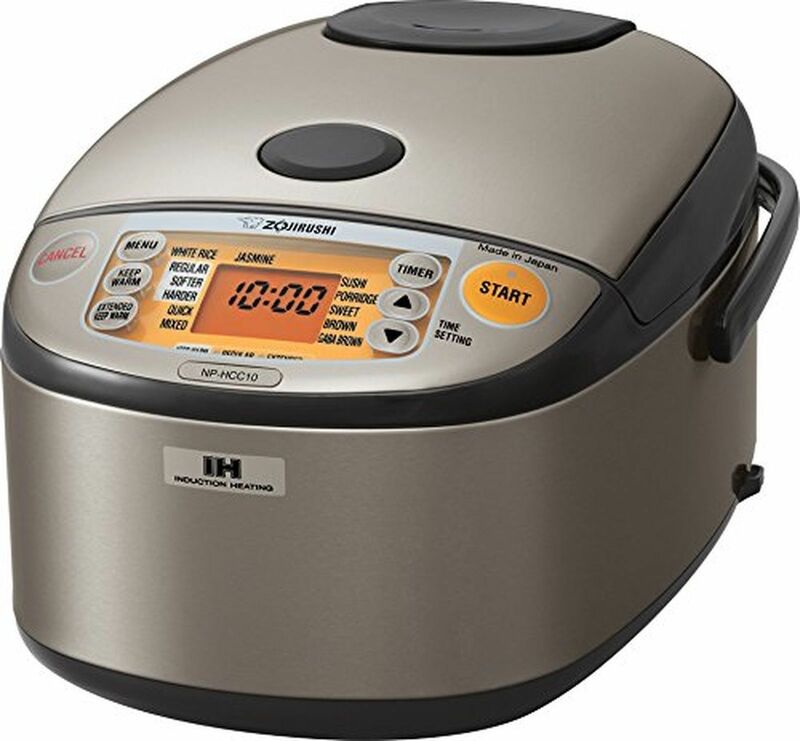 Aside from the typical set of features that will allow you to perfectly cook rice, this rice cooker also comes with an LCD display, a retractable cord, and a reliable timer. You will also get a couple of free accessories such as measuring cups, a rice scoop, and a rice scoop holder. This is just right in making rice for a small to medium-sized family. Some said they had no issues keeping their rice warm and fluffy even up to a period of 2 days! Some said their customer service is difficult to get a hold of. At the end of the day, which one you should get will depend on your particular needs. Don’t worry because we will help you out even further. 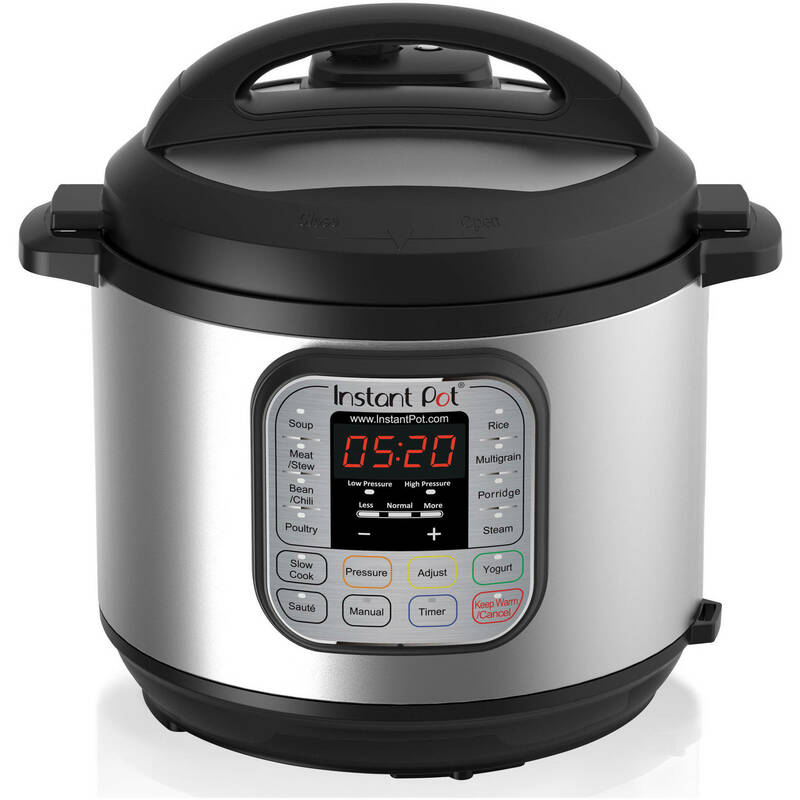 The Instant Pot IP-DUO60 7-in-1- Multi-Functional Pressure Cooker is the most budget-friendly. 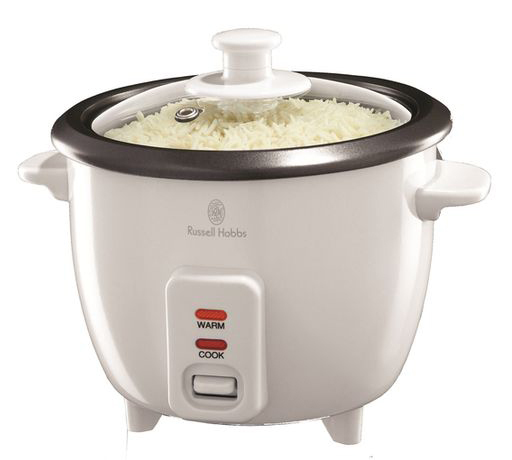 For those families who just want a reliable rice cooker without spending too much, it’s a great buy. It is also ideal for busy families who don’t have time to keep on cooking rice. It can make a big batch in one go. Smaller families will like the Zojirushi NS-LGC05XB Micom Rice Cooker & Warmer. It makes smaller batches of rice, perfect for your needs. It creates the best rice and great for those who make sushi all the time. 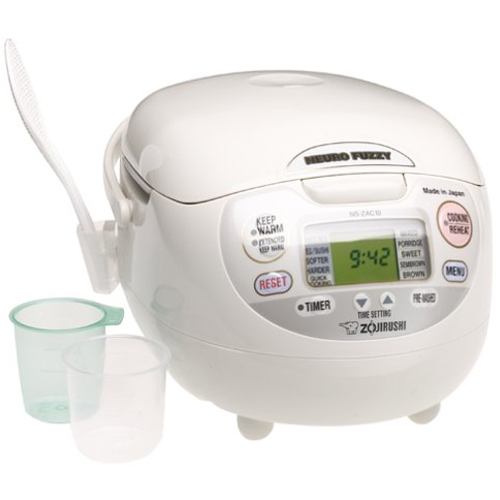 The Zojirushi NP-HCC10XH Induction Heating System Rice Cooker and Warmer is ideal for small families as well but get this if you tend to make more complex dishes. If you like adding vegetables to your rice cooker as the rice cooks, this is a great choice for you. Get the Zojirushi NS-ZCC10 5-1/2-Cup Neuro Fuzzy Rice Cooker and Warmer for something a bit mid-range from the Zojirushi brand that can work for medium-sized families. For those who are serious about their rice and in need of something with more stellar features, the Zojirushi NS-VGC05 Micom 3-Cup Electric Rice Cooker and Warmer won’t disappoint with its intelligent features. Get this if functionality and advanced features are more important than price. After looking carefully at the many options in the market, their price, quality, and customer feedback, Instant Pot IP-DUO60 7-in-1 Multi-Functional Pressure Cooker is the best Japanese rice cooker. Need more help completing your cooking essentials? Go to our homepage to see what other products you can add to your kitchen. Read product reviews, buying guide and product recommendations for easier shopping of kitchen tools that will make your life more convenient.